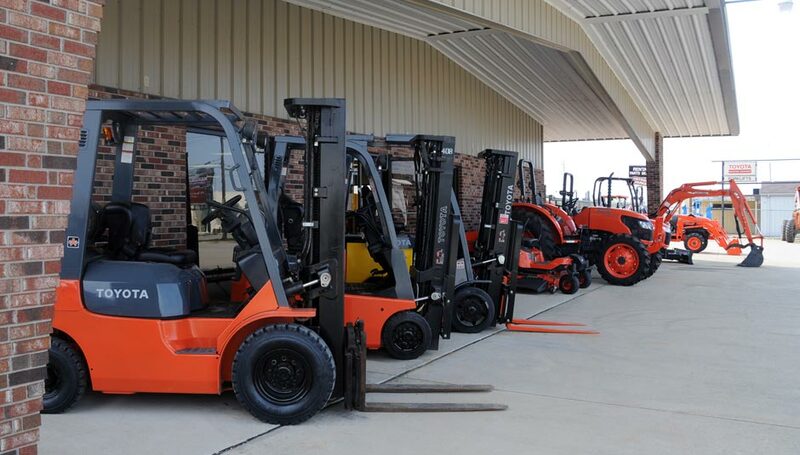 If you are looking for forklifts in Charleston, Illinois, you have come to the right place. Because of our long-standing relationships with our forklift manufacturers, we can offer the best deals on forklifts (to buy and to rent) and fleets of forklifts you will find anywhere. 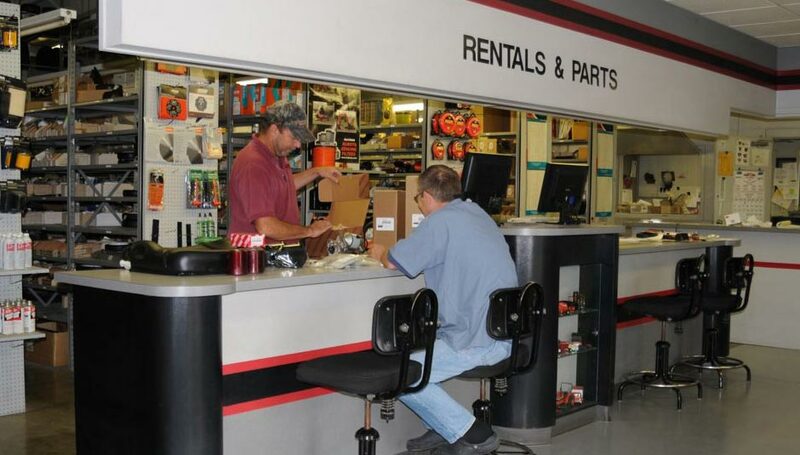 We take a "Win-Win" approach to business by servicing Charleston, Illinois Forklifts. If you win by getting the best quality, prices and service, we win by earning your continued support. That has been the Bahrns philosophy for over forty years and as part of the Bahrns family, it is ours, too. Give us a call or email us today. Let's see what we can do for each other. Every forklift in the Bahrns ToyotaLift fleet is subjected to a rigorous inspection process before it is released for sale or rent. Bahrns ToyotaLift service technicians have all been factory-trained and have years of experience in their field. Nothing is overlooked or left out. When you rent a forklift from Bahrns ToyotaLift, you can rest assured that you are renting a quality truck. Finally, Bahrns ToyotaLift offers this level of quality and service at a competitive rate. Not only will your forklift rental be the best quality you will find in Charleston or anywhere else, it will be the best value. You can choose between short term, long term or even rent-to-buy. 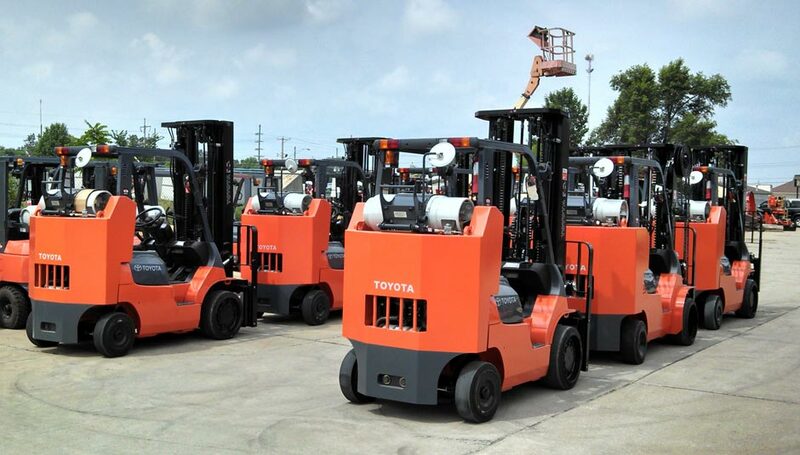 Contact a Bahrns ToyotaLift forklift rental representative in St Joseph today, find out about all your rental options and discover why Bahrns ToyotaLift forklift rentals make such good sense. Toyota is now the world's number one forklift manufacturer. They became Number One by continually improving their product lines until there was simply no better forklift on the market. This was why Bahrns became an authorized Toyota dealer over thirty years ago. 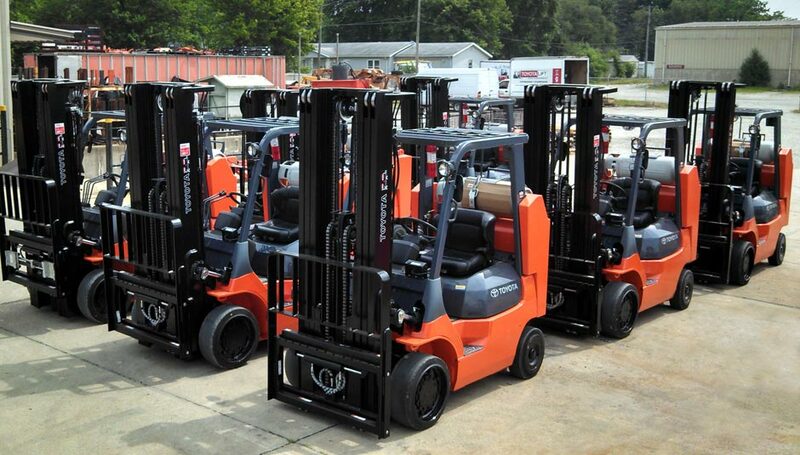 At Bahrns we offer a complete range of Toyota lift trucks and more Forklifts in the Charleston, Illinois area. We also offer 3 decades of experience with Toyota forklifts in every conceivable warehouse or industrial environment. You benefit from our experience by getting the best advice and service available anywhere. Bahrns has been servicing Forklifts for the Charleston, Illinois area and the rest of Central Illinois for over forty years. 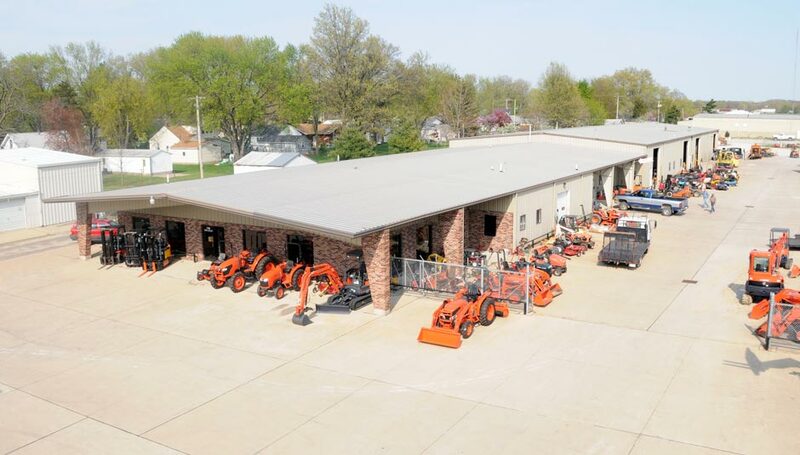 Our parent company, Bahrns Equipment, Inc. was established in Effingham in 1966 and we opened our first ToyotaLift facility over thirty years ago. In keeping with the Bahrns tradition we are committed to offering services for Forklifts in Charleston, Illinois. While we are a local business, we are still part of the Bahrns team. As such, we bring to the Charleston area all of Bahrns' resources and experience. 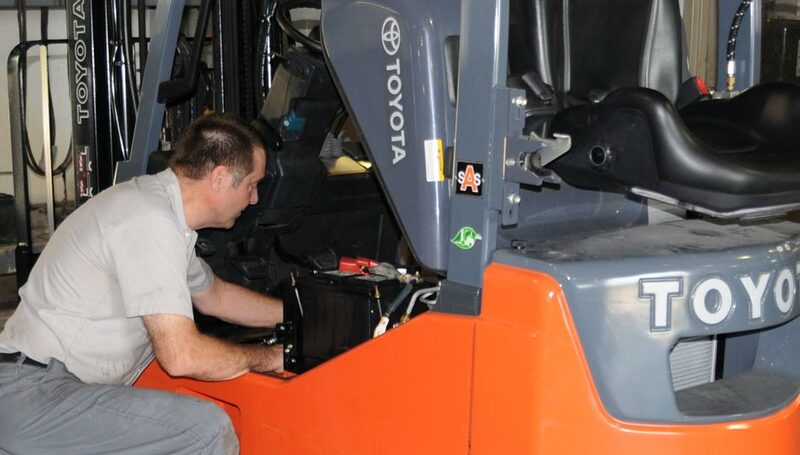 We believe that it's a perfect forklift and materials handling solution by servicing Charleston, Illinois Forklifts. 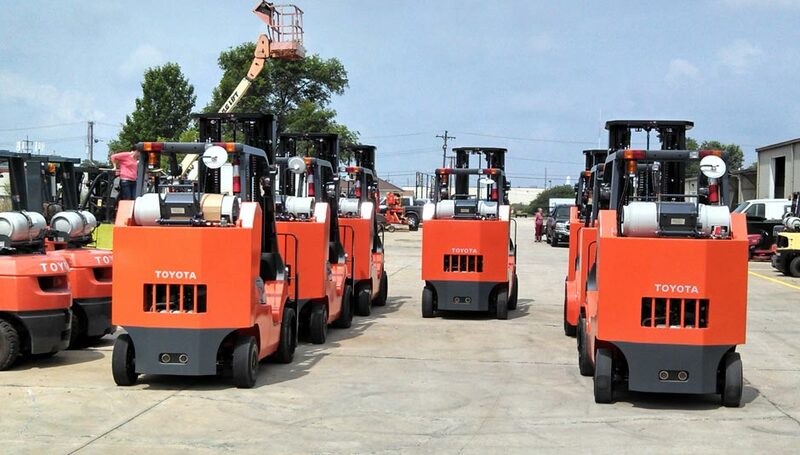 This starts with our line of Toyota forklifts. 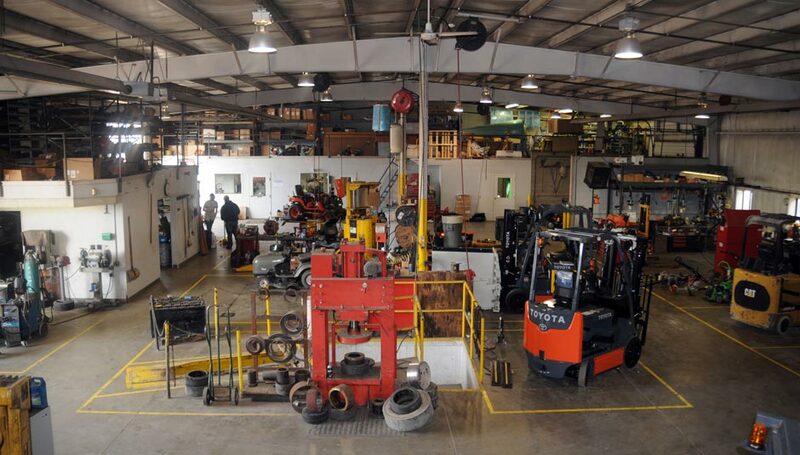 Walk in to our Effingham facility and we can take care of your forklift and material handling needs. Driving from Charleston takes about 45 minutes. The quickest route is typically IL-16 W/E Co Rd 750 N/Lincoln Ave then onto I-57 S. Taking exit 162 will see you drive through Effingham center, past the train station and, a few minutes further down S Banker St, you'll find our warehouse on the left hand side. See full driving directions below.